As the race to deliver the next generation of mobile data speeds toward the finish line, Telstra has promised that it will be the first telco in Australia to offer 5G handsets to its customers. The announcement was made at CES 2019, with Telstra claiming that it has made “agreements to deliver exclusive access to 5G commercial smartphones in the first half of 2019”, and is able to do so “thanks to partnerships with some of the world’s biggest vendors”. Recently, Telstra announced that Ericsson would be its key partner for the 5G rollout, and that it managed to hit its target of switching on two hundred 5G sites across Australia by the end of 2018. 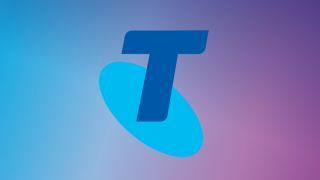 At this point, Telstra isn’t able to name who the exclusive partners are, which devices they’ll use or their capabilities, but it shouldn’t be too long before we start seeing its years of planning become a reality. Towards the end of 2018, we saw the announcement of Qualcomm’s Snapdragon 855 mobile processor, which comes packing 5G capabilities. While the list of phones confirmed to feature the chip is currently short, OnePlus has stated the company’s next flagship will feature 5G. There’s a very high chance Samsung’s Galaxy S10 will be packing the 855 as well, along with the Sony Xperia XZ4, the LG G8, and the Moto Z4. There's currently no solid word on a 5G-enabled iPhone, but it's been tipped to arrive some time in 2020.